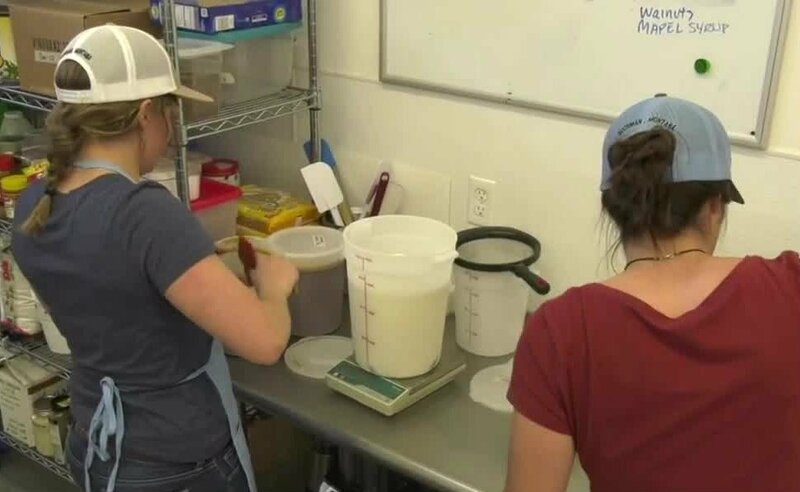 (BOZEMAN) Four years ago Joe Darr decided to try something new, so he settled on creating small batch super-premium ice cream in Bozeman – a tough market several months out of the year. Many of us think of ice cream trucks when we think of ice cream and Genuine has one – an old one. “We found an old Spartan Mobile Home RV and converted it into our ice cream store and it’s one of the most unique shops in the country, I think,” said Darr. Quality ingredients equal quality flavor and the Genuine team are always aiming to make ice cream better. There are currently 22 flavors available from the trailer in downtown Bozeman, and you can find seven flavors in Bozeman-area stores by the pint or the tub. Genuine Ice Cream is available in several locations around the Bozeman area and maybe one day other places in Montana. But right now Darr and his crew are having too much fun trying to make sure every person in the Bozeman area gets to try some first.